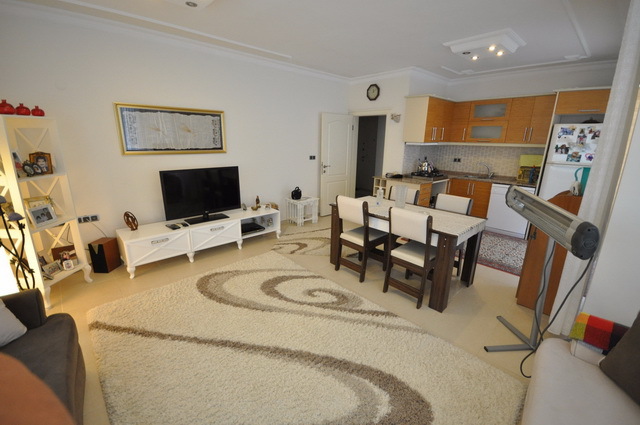 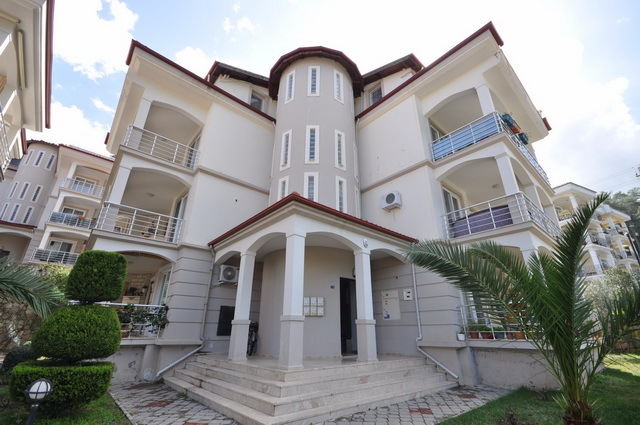 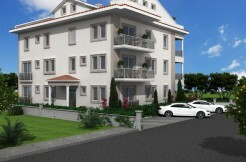 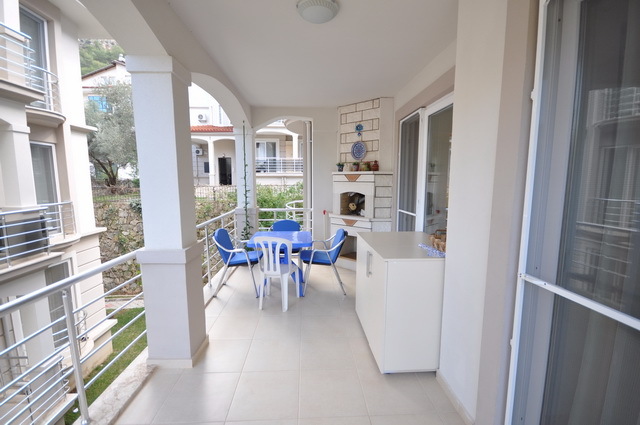 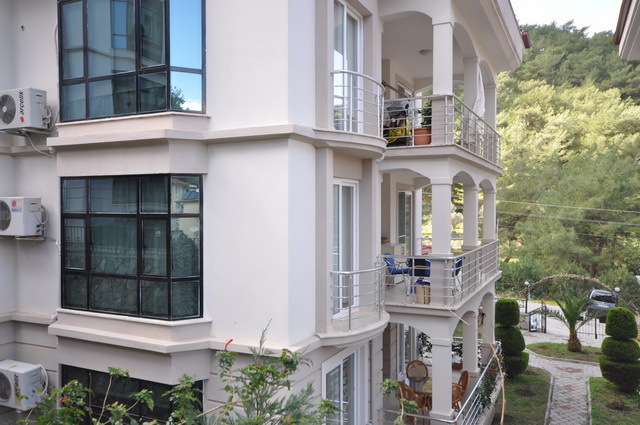 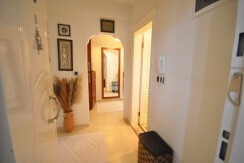 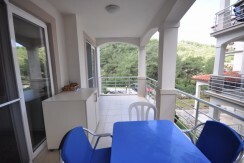 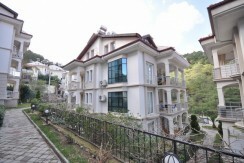 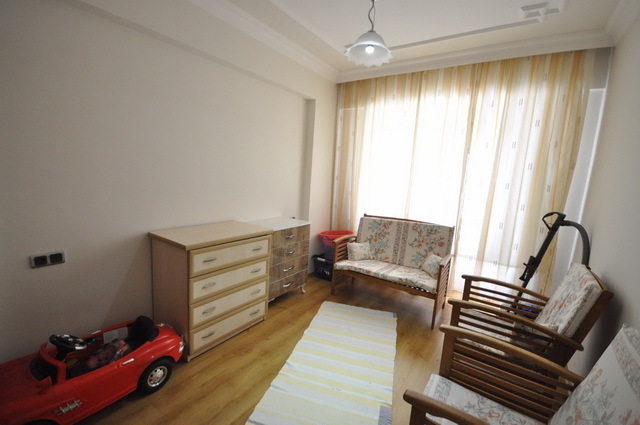 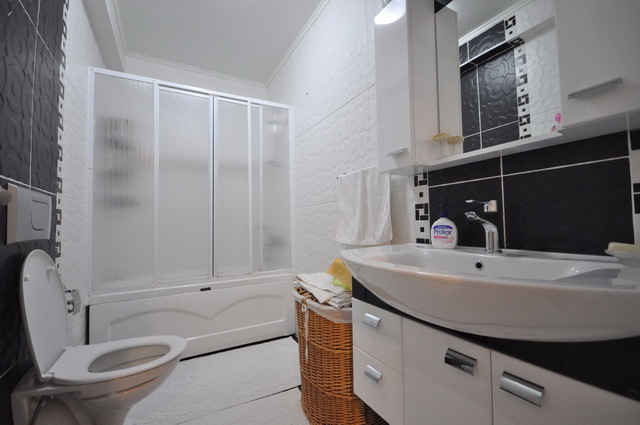 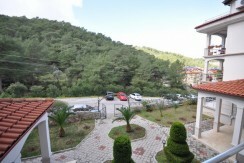 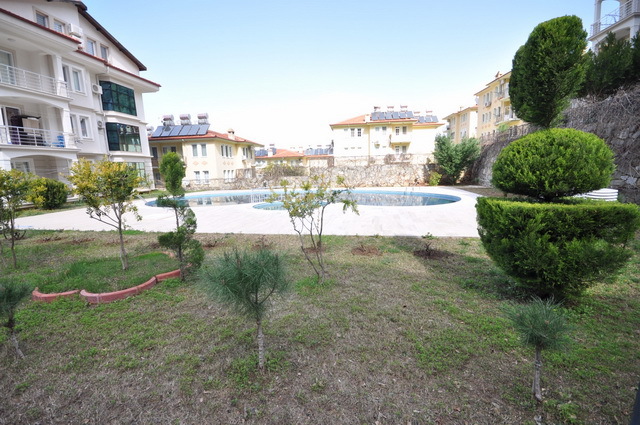 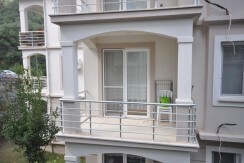 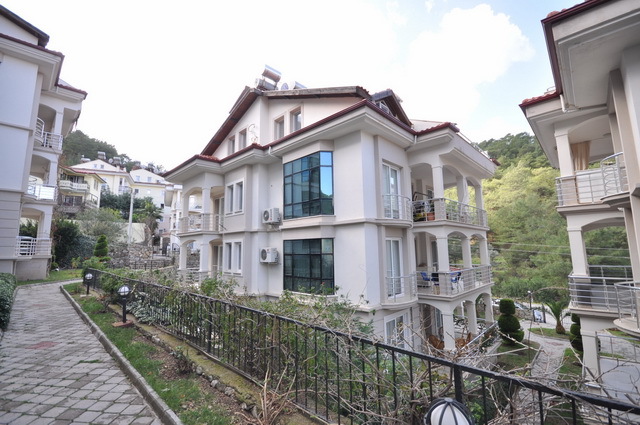 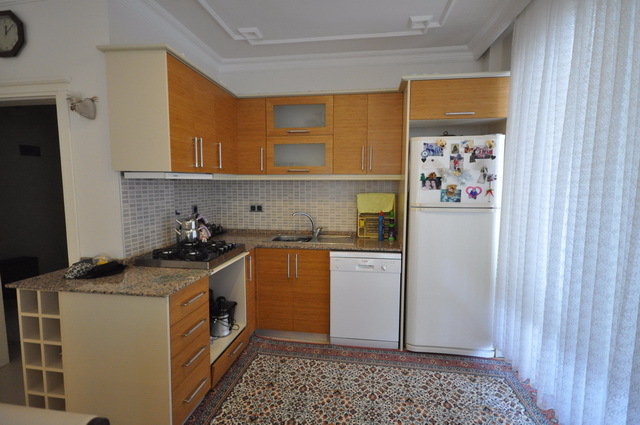 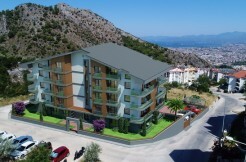 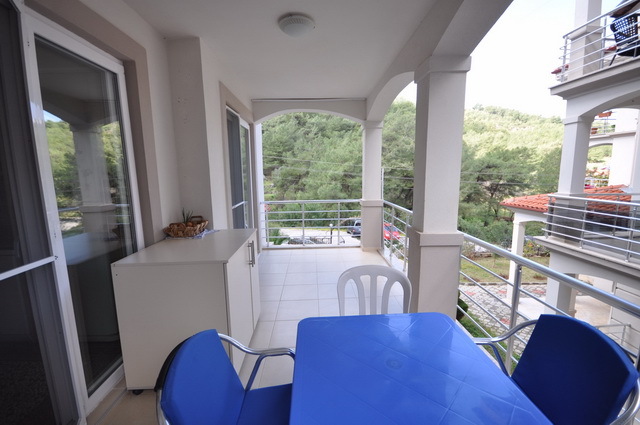 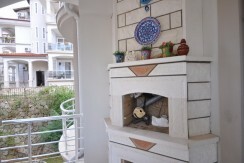 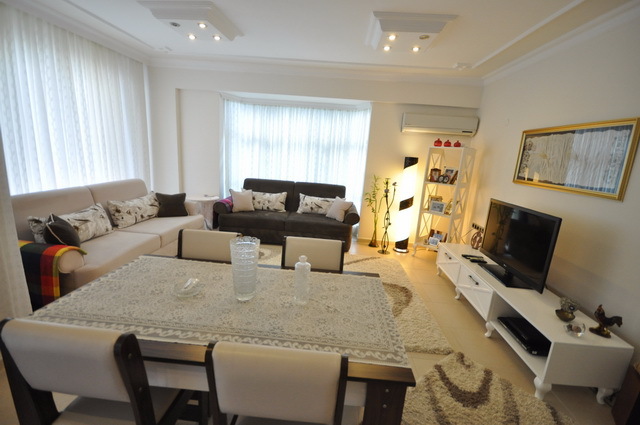 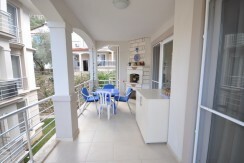 This is a large 1st floor apartment which is located in the area of Deliktas. It has 3 bedrooms, 1 bathroom, 1 WC and good sized balconies. 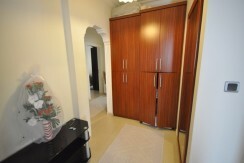 The entrance hallway has a fitted closet where there is the option of plumbing for a washing machine. 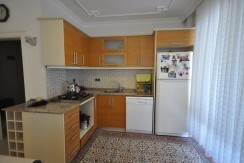 There is an open planned fitted kitchen and lounge which is large and bright. 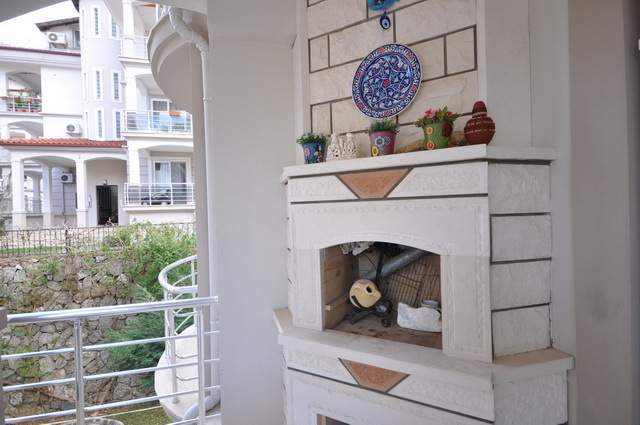 From the kitchen and lounge area is the main balcony which leads out through 2 sets of large sliding doors; the balcony also has a white stone brick BBQ. 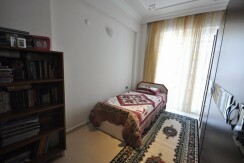 There are 2 double bedrooms which both have laminated flooring, the master bedroom has a built in wardrobe. 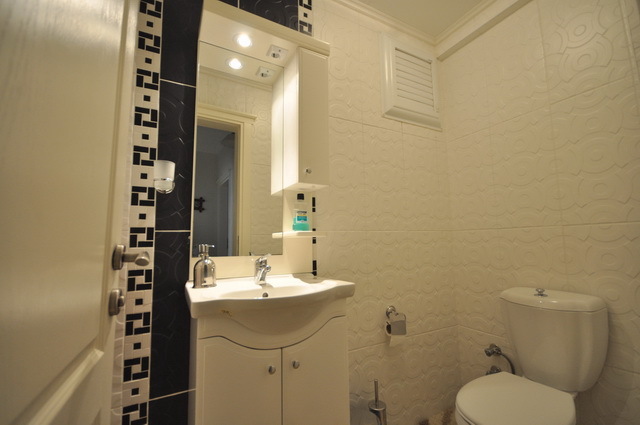 The single bedroom has tiled floor and is a good size. 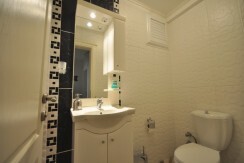 The shared bathroom has a bath tub with a over head shower, hand basin with a cupboard and the WC has a hand basin with cupboard and mirror unit. 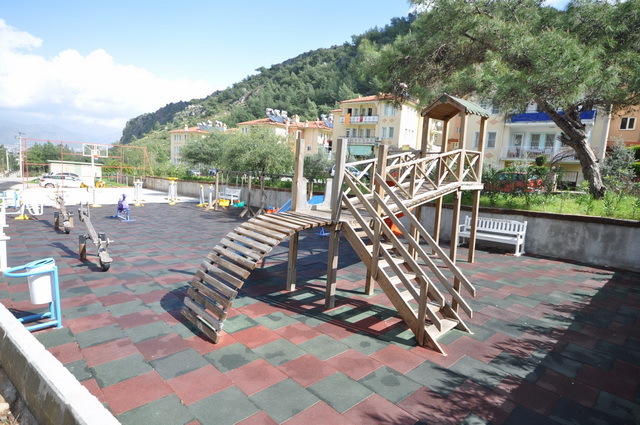 Within this complex there are 7 apartment blocks which share a swimming pool, separate children’s pool and large communal gardens. 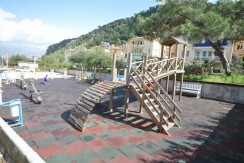 Also the complex is approximately a 50 meters walk to a children’s play ground area.